Is this just a delaying tactics or what? Well! Blackberry made a successful launched of instant messenger (BBM) for Android and iOS even there's a delay of a month. Because they hit the 5 Million downloads in just 8 hours. So I personally take the chance to experience the BBM application to my Android phone. After the minute of installation, Blackberry showed a reservation system page and asked my valid e-mail to have a spot in their line of users. Maybe the company want to prevent their system from crashing due to overload of users so they created the reservation system. To be sure that your BBM app is legit, just look for the developer name, 'Blackberry Limited' in Google Play Store or iTunes App Store, before you download it. Do you get your spot in BBM app? or still waiting like me? For the meantime, please bookmark this page now or visit this site more often for you to be updated. You may also share this post to your friends so they may know about BBM download hit 5 Million in 8 hours. 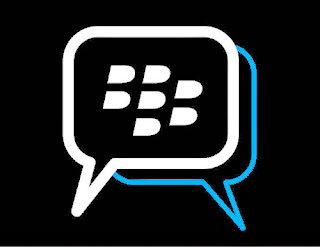 Comments or suggestions about "BBM Download for Android, iOS hit 5 Million in just 8 hours" is important to us, you may share it by using the comment box below.